WTF! 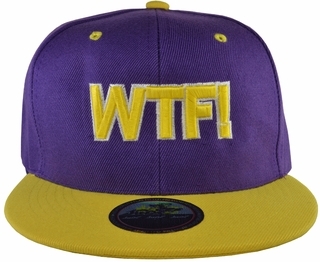 Purple Snapback Hat with Yellow Brim, WTF! Baseball Cap. Snapback with an adjustable strap. Made out of 100% Ployester.